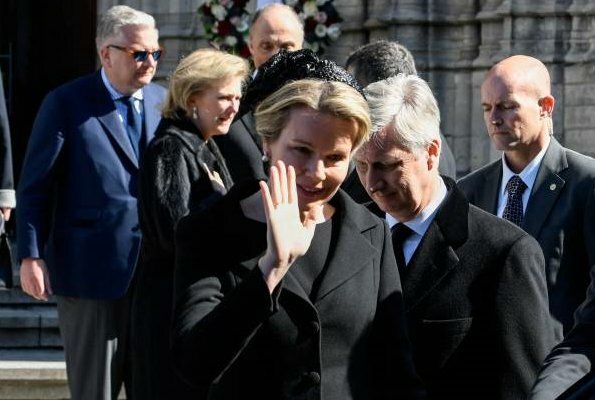 On March 22, 2019, King Philippe, Queen Mathilde, Princess Astrid, Prince Lorenz and Prince Laurent of Belgium attended Cardinal Godfried Danneels's funeral service held at the Cathedral of Saint-Rombaut in Mechelen. 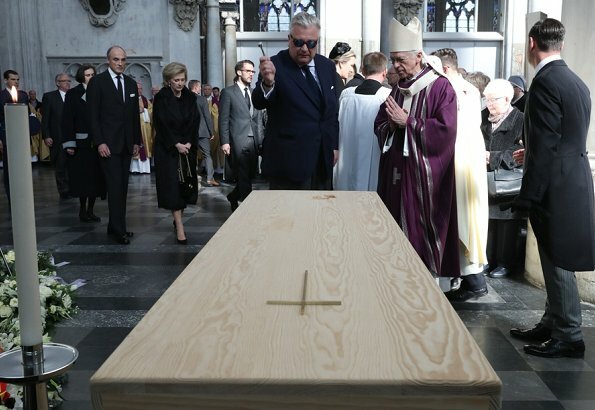 Cardinal Godfried Danneels, who led the Archdiocese of Mechelen-Brussels from 1979 to 2010, died on March 14, 2019 at his home at Malines. 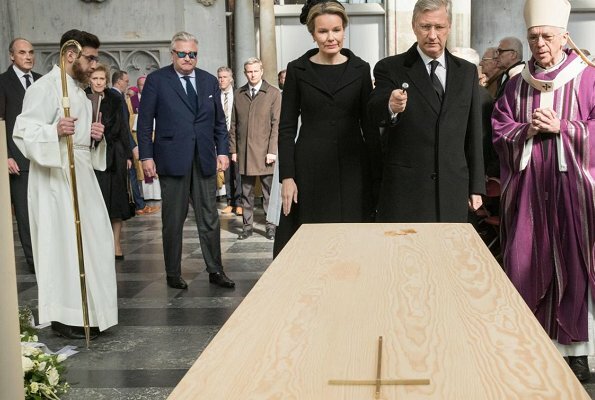 Cardinal Godfried Danneels was 85. The family together. Respect and honor. 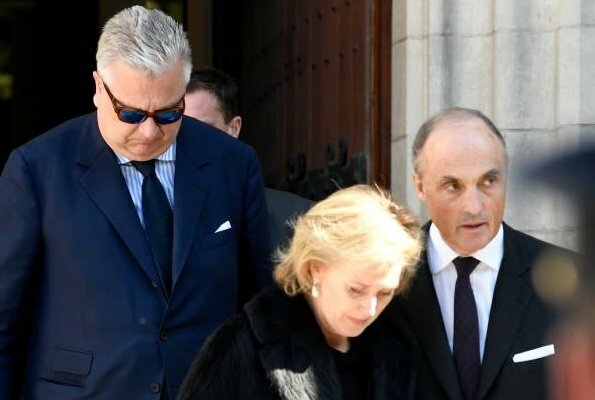 Also very nice to see Prince Laurent there. but where was Pss. Claire? Yes Anon 5:56, where is she? A Belgian magazin recently showed a picture and comments that she is not well, but could just be a rumor. 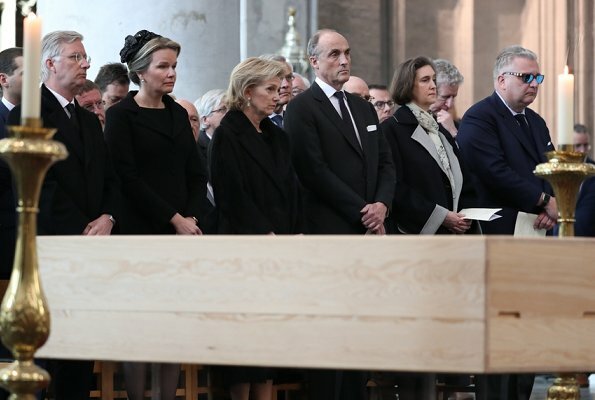 Mooie foto's. 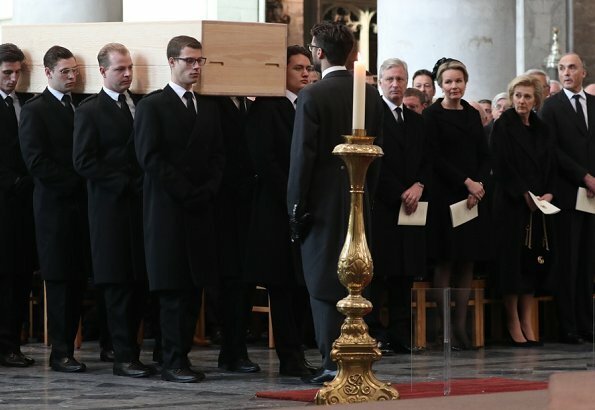 Wat strooien ze nu op die kist?